– an introduction in verse 21. To get the significance of verse 21 we must look at the preceding passage which tells of the Pharisees’ continued hostility to Jesus. It was because he was rejected by the religious leaders then that Jesus decided to “leave that place” and “withdraw” to a foreign environment, “the region of Tyre and Sidon”, ending up experiencing a radically new dimension to his mission. So often an experience of rejection leads to new possibilities being opened up. Our “region of Tyre and Sidon” turns out to be a place of new beginnings. – Verses 22 to 28. This is another of the many stories of Jesus healing someone “tormented by a devil”. We can be creative in interpreting what this means. We think of the demonic forces which “torment” people and societies today – elitism in its many different forms, the desire to avenge old injustices, ruthless ambition. Many people are still “shouting after us” looking to be healed. Christians have always found the story difficult to interpret because of Jesus’ seemingly harsh words to the Canaanite woman. Bible scholars have given various explanations to show that he was not as harsh as he seems to us today. For some, it a question of translation. In their original language the words were Jesus’ symbolic way of explaining where he stood in his mission. He saw himself as “sent to the lost sheep of Israel”, meaning that he chose to start his life’s work among the people he lived with – an admirable approach for all who embark on a program of community renewal. Others see in Jesus’ words a form of gentle teasing that was common among the rabbis of the time; it would have amused and not given offense. For others again, Jesus was giving the woman an opportunity to express her faith – like teachers who ask seemingly naïve questions as a way of drawing out the best in their students. These explanations seem to me rather complicated, however. I feel it is better not to go into the question at all, but simply to join Jesus in celebrating the faith of this wonderful woman – letting her remind us of people who have made a deep impression on us, as she did for Jesus. We remember the times when we too could not help exclaiming, “You have great faith”. Two things are significant about her: she was a woman and a “Canaanite ” – a foreigner. She belonged to two groups therefore who were considered inferior by the religious leaders of the day and so is representative of all those who by their greatness challenge the false values of our culture. As a woman she can be linked with Mary of Magdala – both women were the first teachers of faith in the church. As a foreigner she opened a new era of evangelization- the first gentile to receive the blessings of Jesus’ ministry. On both counts then, the “Canaanite woman” represents the countless people in the course of history who started off as “outsiders” and eventually brought a new richness to the Church. We think of the so-called “pagan nations” of the first centuries – Rome, Greece and Ireland – which brought out new dimensions to the message of Jesus. We think today of the Church being renewed by the cultures of Africa, Asia, Latin America and the Caribbean. Jesus celebrated the woman’s faith and the first Christian communities recorded the story. They are models for the church of all times, including our own, telling us that we must celebrate the great men and women who by the example of their lives have shown up our petty prejudices. The woman’s concern is not for herself but entirely for her daughter. In her selflessness she reminds us of the great women of our time. – Women gathering at the gates of prisons to bring clothes or food to their relatives who have been arrested – guilty or not. The “Canaanite woman” does not represent women only but all people who are passionately committed to a noble cause. All the various aspects of her faith are worth meditating on, starting from our experience of great people we have known. For example, she was unconcerned about what others thought of her – she “came out” and immediately “started shouting”. Committed people don’t mind making a nuisance of themselves. Then there is the good humor which enabled her to turn Jesus’ harsh words to her advantage, while keeping her dignity intact: “I don’t mind being considered one of the house dogs since that means that I have a right to scraps from the children’s food”. Turning our focus back to Jesus, we are touched by the extraordinary discretion of “may your wish be granted”. He makes no mention of the problem she faced – a model for an age when benefactors (including church members) tend to proclaim on the housetops and in great detail what they have done for others. Lord, you guide us in mysterious ways. like Jesus withdrawing to the region of Tyre and Sidon. to ask for our help, but also to give us a new understanding of faith. Lord, we praise and bless you for our (Caribbean) mothers. When their children are in need there is nothing that will stop them. and their children are well again. we must always be models for others. and to let them evangelize us. scraps that fall from their masters’ tables. Lord, there are times when we feel hurt by our Church community. We feel we don’t belong at all, that the community is not there to look after us. Don’t let us give in to discouragement or to bitterness. that can nourish us, and our wishes can in fact be granted. – giving all its time and energy to the care of priests and religious. – lay people in need of spiritual guidance. a new understanding of the Church’s mission. Lord, theology had become a cold abstract exercise. racism, unemployment and unjust debt. because she was shouting after them. But Jesus is with us and he knows that people of faith must have their wishes granted. When we gather each Sunday to celebrate being the People of God, we address Jesus as ‘ our Saviour’. 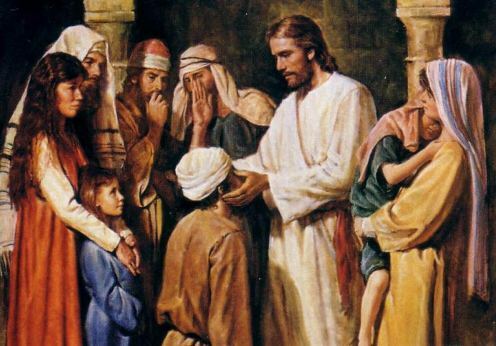 But we often forget that the basic image of ‘saviour’ is that Jesus came to bring healing. We are addressing Jesus as the one we look to for healing, health, and wholeness. This aspect of the ministry of the Christ is brought out in today’s gospel when a woman calls on him as ‘Lord’ and ‘Son of David’ asking him to heal her daughter. So just like that woman long ago who asked Jesus for healing, during our gathering today we shall keep our need for healing in mind in our prayer. We all need, in one way or another, healing for our bodies when afflicted with pain, we need healing for our minds when they are distressed or embittered, and we need healing for our spirits which become damaged by sin. To encounter Jesus is to encounter the Father’s gift of wholeness. Let us pray now that we shall share in it through this Eucharist. 1. There are two basic facts that stare us in the face every day. First, we know that there are areas of our lives which are just a mess, they are not as they should be, they are awry, they are somehow a problem to us. It may be a physical affliction, it may be a cause of stress, it may be a memory that haunts us, it may be a relationship that has broken down. Whatever it is, we know that we would love to have it sorted out, mended, fixed, renewed. Second, we are all aware that our lives are fractured, bro­ken up into little pieces that do not seem to mesh with one another. We want to live peaceful lives, yet we are caught up in various stressful pursuits. There are conflicts between what we would like to do and what we actually do. There are stresses between the demands of family and work. There are demands from various quarters that seem to contradict one another. 2. This need for healing and renewal takes on many expres­sions. Some people try to ignore it, others seek out various miracle cures, other seek out alternative medicine, lifestyles, or exotic New Age spiritual paths. We as Christians see it as a cry from within our deepest selves that we are incomplete without seeking God. ‘You, a God, have made us for your­self, and our hearts are ever restless until they rest in you,’ prayed St Augustine, while generations of believers have prayed that God would show them his face, turn his face to­ward them, and show them his mercy. 3. Every occasion of human sickness should somehow, in some way, and to some extent remind us that we are not self-suffi­cient, that we need others, need forgiveness and mercy, and need God’s love and mercy. 4. The awareness of the fractured nature of our lives, of our brokenness, is what provides the basis for the ‘wholeness’ in­dustry which promises a ‘holistic approach’ to this, that, and the other. But the fact that there are people cashing in on this human need should not cause us to forget that there is a really human desire for wholeness, to bring the various parts of our lives into connection, and to give our lives direction. This quest for wholeness has been an aspect of the Christian search for holiness down the centuries. Part of our wisdom is that this brokenness is somehow related to sin and so a first step towards a more integrated life is an acknowledgment of our sins and a willingness to accept forgiveness from God. Another part of our wisdom is that wholeness cannot be at­tained without prayer and care for others. 5. Lastly, while we seek healing and wholeness, we must be suspicious of ‘instant solutions.’ Healing comes in many forms, but it is usually slow, and always partial. Wholeness is never ‘just there for the picking,’ and its pursuit is the life­long quest. Again, as believers in the God of infinite mercy, we know that complete healing and complete wholeness will only be ours when we enter into the fullness of life in the di­vine presence. This last point seems rather dull given that we are bombarded with advertising promising us both healing and wholeness in a simple package: all that stands in our way is our willing­ness to pay for it! In the face of such illusions, bursting the bubble may seem churlish, but it is good news. There was a long history of conflict between the Israelites and the Canaanites. Over the years, the Canaanites were defeated and most of them fled the land. Some of them settled in Tyre and Sidon (Lebanon and Syria). It was here that Jesus met the woman in today’s gospel reading. Why, we may ask, did Jesus travel to this Gentile region, especially given the turbulent historical background? The most likely reason is that he had been in conflict with the Pharisees and other religious leaders, and he wanted to go away for a while, not least because he did not want the trouble with his enemies to escalate. That is one of the practical reasons for his venturing into Gentile territory at this time. Jesus’ spiritual and religious reasons seem clear. The Jewish leaders were battling with him, were jealous of him and were, in essence, rejecting him. So he turned his attention to the Gentiles — those who were not Jews. He entered Gentile territory at the very time the Jewish leaders rejected him, and a Gentile woman publicly recognised his power and authority. The contrast must have been clear to his followers. 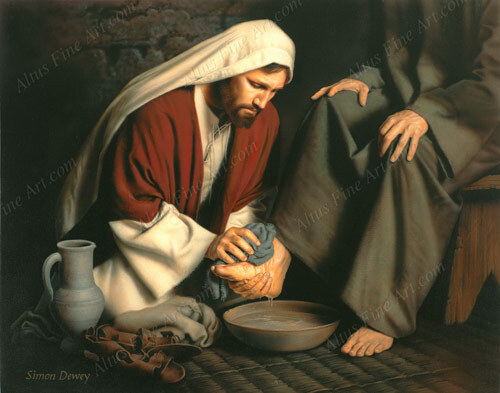 The woman cried out to Jesus: ‘Sir, Son of David, take pity on me. My daughter is tormented by a devil’ (Mt 15:22). Her words are significant. She was aware of the historical animosity between the Jews and the Canaanites. Nevertheless, she expressed her belief in Jesus as the promised Messiah. It was astonishing that she should make that kind of acknowledgement, notwithstanding her anxiety to have her daughter healed. At first Jesus was silent, perhaps testing her perseverance. She was not found wanting, following him and pleading with him. Jesus’ silence was educational. 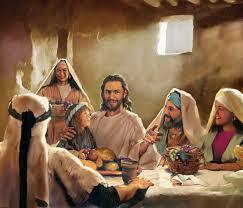 He wanted his disciples and the woman to understand fully that he was the Son of David, the Messiah. 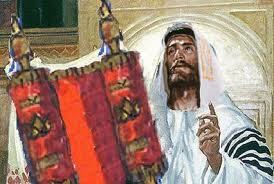 The kingdom had to be offered to the Jews first, in fulfilment of the Old Testament prophecies. ‘Lord, help me’ (Mt 15:25). Jesus continued to test her by reminding her about the historic enmity between her people, the Canaanites, and the Chosen People, the Israelites. He told her that she was asking him to give privileges intended for the children (the Jews) to the house-dogs (the Gentiles). The woman was not offended. She knew that the long awaited Messiah was a Jewish Messiah and that the Jews were the Chosen People. But she quipped that even the dogs ate the crumbs that fell from their master’s table. In other words, although God’s mercy is first for the Jews, surely some of it can be spared for the Gentiles. The Canaanite woman’s words were a manifestation of real faith in Jesus, and were in stark contrast to the lack of faith of the Jewish leaders who rejected him. Jesus rewarded her faith by healing her daughter. The account of Jesus’ encounter with the Canaanite woman teaches us about the grace of God and about the trusting faith that is appropriate when we experience suffering. But there is another lesson. We are challenged to bring the message of God’s saving grace to the whole world. She was a woman like many. She would fight for her child, so she took on Jesus, the best known religious figure around. Like someone taking on the minister for health or children over a medical card for a chronically ill child, and not letting them off the hook. Jesus was testing her. He saw faith, but he wanted ev­eryone else to see it. So he told her she didn’t fit into the local re­ligious sphere because she was foreigner, like an asylum seeker or a refugee. She knew she fitted into the heart of Jesus simply because she was the mother of a sick child and believed he could help. Even if he would cure everyone, maybe he would come back to her at the end. Jesus went further – he cured her child and praised her faith. She is another of the unnamed ones of the gospel. Like the woman of Samaria, the rich young man, the thief on Calvary – she is herself, and she is all of us. She is everyone, man and woman, of faith. Faith in a surprising God who, in Jesus, his Son, never says no to goodness. Faith that keeps us energetic and alive, not tired, in soul as well as body. Remember your feeling of gratitude for the children of your family. Lord, I believe, strengthen my faith. The story of the Canaanite woman was very important to the Christians of the predominately Gentile Christian communities. Jesus’ healing of the daughter of the persistent Canaanite mother became a prophetic model for the relationship between Jewish and Gentile Christians. The woman is not only a Gentile but also a descendent of the Canaanites, one of Israel’s oldest and most despised enemies. Despite Jesus’ rebuff of her (equating Gentiles with “dogs,” as Jews referred to anyone who was not a Jew), the woman has the presence of mind to point out that “even dogs are given crumbs and scraps from their masters’ tables.” She displays both great faith in Jesus (addressing him by the Messianic title of “Son of David”) and great love for her daughter (subjecting herself to possible ridicule and recrimination for approaching Jesus) that should inspire both Jew and Gentile -- and Christian. Jesus does not see in the Canaanite woman an old enemy; he sees, in her great compassion and love for her sick daughter, a loving mother; he sees, in her courage to come forward in the face of imminent rejection and denunciation, a woman of great faith. The Canaanite woman in today’s Gospel seeks what we all seek: to be acknowledged as good, to be respected as a child of God, to be welcomed as a sister and brother to all. In honoring the goodness and love of the Canaanite mother (who, as a Canaanite, is despised by Jesus’ hearers), Jesus opens up our perspectives and illuminates our vision, enabling us to see one another as God sees us. Most of us would consider ourselves fair-minded and unbiased, neither bigots nor racists; but if we're honest, we would probably recognize times we have treated people as if they were “a little less human” because they did not possess some quality or ingredient we consider imperative. We underestimate people because they are somehow different; we treat them as inferiors because they don't quite measure up to what we think they should or should not be. God does not measure his people by our standards but welcomes all who seek him in faith. Pope Francis often speaks of reaching out to those on the boundaries or “peripheries,” to those who are driven to the margins and edges of society by poverty, violence and illness. Jesus’ encounter with the Canaanite woman illuminates our own vision to recognize those divisions and chasms between us and others and to go the peripheries and cross those boundaries that are obstacles to realizing God’s kingdom of justice and peace in this time and place of ours. A woman, a divorcee, was explaining to her daughter why she never remarried. Yes, indeed, we do have high standards – for other people. We are quick to assess people purely by our own measure of what is right and good; we determine their worth by their function or their usefulness in helping us accomplish our own goals and agendas; we quickly size up people by our own inaccurate and sometimes bigoted stereotypes; we become so obsessed with numbers and demographics that we forget that we are dealing with flesh-and-blood human beings with hopes and beliefs and feelings. In honoring the goodness and love of the Canaanite mother for her sick child – who, as a Canaanite, represented one of Israel’s most despised enemies – Christ illuminates our vision, enabling us to see one another as God sees us. The call to discipleship demands that we look beyond labels and stereotypes to realize that every one of us is a child of God, brothers and sisters all. The first reading reflects a time during the period of restoration after the return from Babylon. Since the returned exiles constituted a small group, they tended to be inward-looking. The prophet encourages them to be open to foreigners because God intends his house to be a ‘house of prayer’ for all the peoples’ God is a God of all and excludes none. One of the darker sides of our humanity is our tendency to be exclusive. We build our own little world and God helps those who disturb it! We tend to join exclusive groups. New members are grudgingly accommodated. Thank God for being exactly opposite! God is totally and forever inclusive. A gentleman was boasting about the superiority of Catholicism and the holiness of his priests to a Hindu and Muslim friend. Debating at the crossroads they spied a sadhu going into a brothel. “Saw that?” sneered the Catholic. “Our priests won’t be seen there!” Minutes later, a Mullah covered his face with his shawl and entered the brothel too. The Catholic remarked, “Ah, ha, Mullahs are no better than sadhus!” Just then the parish priest also slyly entered the brothel. The Catholic sighed sanctimoniously, “I wonder which of those girls is sick and in need of sacraments!” Strangely, ‘we’ are always holier than ‘they’ just as Pharisees in Jesus’ time claimed superiority over gentiles. There is an Aesop fable which tells the story of a rabbit and a hunting dog. One day when the dog was out hunting he flushed a rabbit from the thicket and gave chase. The frightened rabbit ran its heart out and eventually escaped. As the dog headed home it passed a farmer who taunted him saying, “You are a fine hunter. Aren’t you ashamed to let a rabbit one-tenth of your size outrun you and get away?” The dog answered, “Ah, but sir, I was only running for my supper, the rabbit was running for his love!” This rabbit was running faster than the fastest man in the world! In today’s gospel we hear a dialogue between Jesus and a Canaanite woman. The woman’s single-mindedness for her daughter’s healing is rewarded. It reminds us of the words of Dwight Eisenhower: “What counts is not necessarily the size of the dog in the fight – it is the size of the fight in the dog.” Run for your life and you will win the race. As he lay on his hospital bed in Melbourne, an Australian Marist Brother told his gathered friends the story of his spirituality. It came from watching trapeze artists performing in a circus a few years ago. Trapeze artists are those who perform in a circus with swings. It is an air borne performance. While talking to one of the artist, he explained, “As a flyer I must have complete trust in my catcher, he explained. He has to be there for me with split–second precision and grab me out of the air as I come to him in the long jump.” The artist explained that the flyer does nothing and the catcher does everything. When the artist flies, he has simply to stretch out his arms and hands and wait for him to catch him and pull him safely over the apron behind the catcher. The flyer should actually do nothing. The worse the flyer can do is to catch the catcher. The flyer is not supposed to catch the catcher. If the flyer grabbed the catcher’s wrists, he might break them, or the catcher might break the flyer’s wrists, and that would be the end of them both. A flyer has to fly and the catcher has to catch, and the flyer has to trust with outstretched arms, that his catcher will be there for him.” This is the trust we should have in Jesus and the woman in today’s story demonstrated such a faith. Once during a particularly severe winter in the Arctic, all but two people in a certain camp died of starvation. The two survivors were an Eskimo woman and her baby. The woman began a desperate search for some means of obtaining food. Eventually she found a small fishhook. It was a simple matter to rig a line, but she had no bait, and no hope of getting bait. Without a moment’s hesitation she took a knife and cut a piece of flesh from her thigh. Using this as bait she caught a fish. She fed her child and herself, saving the fish gut for bait. She lived on fish until spring when she walked out of the camp and found some other people. It was no coincidence that the only adult to survive in that camp was a mother. What kept that mother alive was her concern for her child. There seems to be no limit to what a mother will go through for the sake of her child. A mother does not give up easily. Here are a couple of stories about Dorothy Day, the founder of the Catholic Worker Movement, demonstrating how she valued each human being as a child of God and hence as important. A reporter came to interview her at her office on 4th Street in Manhattan. He could see her talking to a man who was either drunk or mentally ill. Time passed and the reporter grew impatient. Dorothy finally appeared and said, “Are you waiting to speak to one of us?” Obviously, Dorothy did not think that she was more important than the person she was talking with. Dorothy Day was one of the prophets of her day. Her vision allowed her to see all human beings as equal – no one distinguishable from another. She recognized, as Mother Teresa did, the mark of the children of God in everyone in the same way Jesus recognized God’s child in the Canaanite woman, who belonged to a race inimical to the Jews. Many years ago in Illinois, a young man with six months schooling to his credit ran for an office in the legislature. As might have been expected he was beaten. Next he entered business but failed in that too, and spent the next seventeen years paying the debts of his worthless partner. He fell in love with a charming lady and became engaged – and she died. He had a nervous breakdown. He ran for congress and was defeated. He then tried to obtain an appointment to the U.S. land office, but didn’t succeed. He became a candidate for the Vice-Presidency and lost. Two years later he was defeated in a race for the senate. He ran for President and finally was elected. That man was Abraham Lincoln. It took Winston Churchill three years to get through the eighth grade, because he couldn’t pass English! Ironically, he was asked many years later to give the commencement address at Oxford University. His now famous speech consisted of only three words: “Never give up!” Today’s gospel episode gives us the same message in a more powerful way. 5. The difference between knowing the faith and showing the faith. A man who was walking close to a steep cliff lost his footing and plunged over the side. As he was falling he grabbed the branch of a tree that was sticking out about half-way down the cliff. He managed to hang onto a weak limb with both hands. He looked up and he saw that the cliff was almost perfectly straight and that he was a long way from the top. He looked down and it was a long, long way down to the rocky bottom. At this point the man decided that it was time to pray. He didn’t pray a long, wordy prayer. He simply yelled out, "God, if you’re there, help me!" About that time he heard a deep voice coming from high up above that said, "I’m here my son, have no fear." The man was a little startled at first by God’s voice, but he pleaded, "Can you help me? Can you help me?" 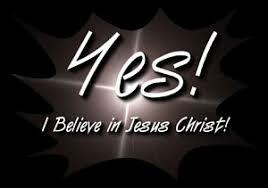 God replied, "Yes, I can my son, but you have to have faith. Do you trust Me?" The man answered, "Yes Lord, I trust You." God said, "Do you really trust Me?" The man, straining to hold on replied, "Yes Lord, I really trust You." Then God said, "This is what I want you to do: let go of the limb, trust me and everything will be all right." The man looked down at the rocks below, then he looked up at the steep cliff above him and yelled, "Is there anybody else up there who can help me?" What would you think if I told you that on your tombstone would be inscribed a four-word epitaph? Well, you might respond, it would depend on who would write this epitaph--an enemy or a loved one. It might also depend, you might say, on how well this person knew and understood you. If a newspaper critic wrote of a concert pianist the four words: "He was a failure," you could always say: That was his opinion. But if one of the world's great musicians wrote, "He was a genius," then you are apt to take the remark more seriously. There was a character in the Gospel who Jesus once described with four immortal words: Great is your faith. She was a Canaanite woman who came from the country to the north of Palestine, a country hostile to the Jews. She was presumably married, she had at least one child; but that's all we know about her. We don't know whether she was a good woman or a bad woman. We don't know her name. All we know of her is that in this single encounter with Jesus he spoke to her this four-word epitaph: Great is your faith. Only four words but they are enough to make her immortal. We can trust these words as being true because the expert on faith spoke them. Jesus searched for faith, as a gem collector would fine jewels. He did not always find it in his disciples. On no occasion that we know did he ever say of Peter, James, and John: Great is your faith. More often the words he spoke to them: You of little faith. On only one other occasion did Jesus praise a person for their faith. Interestingly, that was a Roman soldier stationed in Capernaum. "Trending" as in "what's trending?" is a social networking term used to describe what latest "hot new thing" is gaining popularity online and in our TGIF (Twitter, Google, Instagram, Facebook) culture. If you know what is "trending" then supposedly you've got your finger, or at least your texting finger, on the pulse of "what's happening" in the world today. What have you heard is trending? Anyone?...This would be a great time for you to enter the congregational space and interact with your people about what "trends" they're tracking...You may want to prime the pump and ask some of your youth what music is trending...what's their favorite musician, and then ask if that musician is "cool" or not cool? . . .
At the end of the interaction you might want to mention that you've heard that the country that's trending most right now is South Korea, that in Asia and many other places, but not yet in the US, South Korea and everything Korean is hip (see Euny Hong's The Birth of Korean Cool (2014). Although you might want to mention that "fanbots" may be a Korean idea that will never catch on. "Fanbots" are robot fans that you can rent if you can't attend a baseball or soccer game. They attend for you, sit in a special section for robots, and they can cheer, chant and even perform a wave, whatever you instruct them to do as you watch the game through their eyes. C.S. Lewis once wrote an essay entitled The Inner Ring. He says in the article that in any playground or office or church there are little groups or rings of people who are on the "inside". And those who aren't: those who don't get picked at playtime, those who stand on their own in the lunchroom. Lewis says that the existence of such rings is not necessarily bad. We're finite beings, and we can only have deeply intimate friendships with a limited number of people. But he says that the desire to gain status or self-worth by being part of an "inner ring" is deeply destructive. It causes you to constantly compare yourself with others, to feel anguish when you're left out, and deeper anguish when someone close to you gets let in. Worst of all, once you're in, you want to keep others out, because it's the exclusive nature of the group that makes you feel good. Jesus' disciples wrestled often with that desire to be part of the inner ring. They argued over who should have the seats closest to Jesus. They asked Jesus to bring down fire on pagan villages. They rebuked little children for coming in too close and wasting Jesus' time. Jesus must have often shaken his head because he was constantly teaching about who was in and who was out, about God's desire to bring into the inner ring of his love anyone who will come. One of the most intriguing stories about status is this one in Matthew 15:21-28. Augustine's mother, Monica, was a fervent believer who prayed constantly for her son's salvation. She devoted her whole life to praying for Augustine's conversion. At one point, when Augustine was becoming devoted to the Manichaean philosophy, Monica begged a holy man to speak to Augustine, and show him why their beliefs were not true. The holy man refused because Augustine was known to have a great intellect, and would likely try to savage the holy man's arguments. The holy man assured Monica that he, too, had once been a Manichaean, and that Augustine was too smart to deceive himself much longer. At this, Monica began to cry. The holy man sent her away, saying, "Go, go! Leave me alone. Live on as you are living. It is not possible that the son of such tears should be lost." The holy man was right. After many years and a fierce inner struggle, Augustine was touched by a revelation in Scripture, and became a Christian. When Monica learned of her son's salvation, she remarked that she had nothing left to live for, for the greatest desire of her heart had been fulfilled. Nine days later, Monica died. And the son she had spent her life praying for, went on to affect the whole world. Monica never quit asking. "Live on as you are living," said the holy man. "It is not possible that the son of such tears should be lost." You are concerned about someone you love? Keep on asking God for help. Don't let your tears quench the flame of your faith in God. It may seem like God is ignoring you, but I assure you that is not the case. Don't give up. Keep asking. And keep on trusting. King Duncan, When You Need Help, adapted from Ruth Bell Graham, Prodigals and Those Who Love Them. A householder keeps faith, keeps care, of all those in his household. This is what the Canaanite woman learns from Jesus' example. And this is what she reveals back to him. In other words, Jesus "learns" to hear his own words through the ears of her faith. That's why ultimately Jesus declares, "Woman, great is your faith" - not, "You are very clever." This is how philosopher Dallas Willard puts it, as he defines exactly what is a disciple: "One of those who have trusted Jesus with their whole life, so far as they understand it. Because they've done so, they want to learn everything he has to teach them about life in the kingdom of God now and forever, and they're constantly with him to learn this. Disciples of Jesus are those learning to be like him" (Dallas Willard, Renovation of the Heart: Putting on the Character of Christ, 241). A family of five was enjoying their day at the beach. The children were playing in the ocean and making sand castles when in the distance a little old lady appeared. Her gray hair was blowing in the wind and her clothes were dirty and ragged. She was muttering something to herself as she picked up things from the beach and put them into a bag. The parents called the children to their side and told them to stay away from the old lady. As she passed by, bending down every now and then to pick something up, she smiled at the family. But her greeting wasn't returned. Couple weeks later this family learned that little old lady was a retired school teacher who'd made it her lifelong crusade to pick up bits of glass from the beach so children wouldn't cut their feet. And as she picked up the broken glass, she prayed for the people who had dropped it, even though she didn't know who they were. Our Lord and Savior Jesus Christ, gave his life on the cross so that we might know the love, forgiveness and acceptance of our God. Jesus died for each of us personally. We can't look at another human being without thinking to ourselves, Jesus died for them, too. We do a disservice when we jump to conclusions about people because of how they look, where they live or the type of work that they do. We are all equal Jesus' eyes. The famous one-time Catholic monk, Martin Luther, was legendary not just for nailing a piece of paper to the door of his home church citing 95 things that needed to be changed about it. He wrote and lectured extensively to his students at the university as well. Some of his students were very good learners, and others were not so good. But a few of his students realized that some of the most valuable instruction that Luther gave was not in the classroom, but was in the dining hall over a meal and a few drinks. His students began taking notes on what Luther told them in that relaxed atmosphere, and they eventually published these notes in what was known as Martin Luther's Table Talks. "When Luther's puppy, Tölpel, happened to be at the table, looked for a morsel from his master, and watched with open mouth and motionless eyes, Luther said, 'Oh, if I could only pray the way this dog watches the meat! All his thoughts are concentrated on the piece of meat. Otherwise, he has no thought, wish, or hope'" (Table Talks, May 18, 1532). Martin Luther's puppy reminds me of the woman in today's Gospel lesson from Matthew. Although this woman was a Gentile, from the region of Tyre and Sidon (modern day Lebanon), she couldn't think about anything other than Jesus healing her daughter. Classical guitar maestro Andres Segovia is adored by his public, especially by the British. They do not let him go easily after a performance. Following two exhausting encores one night in London, Segovia, then 92, was forced to concede: "I would love to go on playing," he said, "but my guitar is tired." Jesus knew what it was to be tired. He knew what it was to need a change. A strong woman works out every day to keep her body in shape, but a woman of strength kneels in prayer to keep her soul in shape. A strong woman isn't afraid of anything, but a woman of strength shows her courage in the midst of fear. A strong woman won't let anyone get the best of her, but a woman of strength gives the best of her to everyone. A strong woman walks sure-footedly, but a woman of strength knows God will catch her when she falls. A strong woman wears the look of confidence on her face, but a woman of strength wears grace. A strong woman has faith that she is strong enough for the journey, but a woman of strength has faith that in the journey she will become strong. One of the most respected personalities in the entertainment world today is a man named Quincy Jones. Performer, composer, promoter, producer, director, arranger--Qunicy Jones is all of these and much, much more. In recent years, he has also become known for his amazing ability to bring together the superstars of the entertainment industry, getting them to blend their talents and work together, share the spotlight and function as a team to produce something that is very special. He can bring together stars such as Diana Ross, Kenney Rogers, Aretha Franklin, Michael Bolton, Gladys Knight, Kenney G., Lionel Ritchie, and many others; he can give them a single phrase there, and combine their artistic skills into a powerful and moving expression of music. 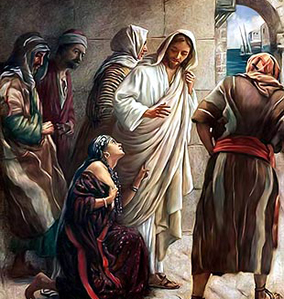 Brothers and sisters, in today's Gospel we remember the Canaanite woman whom Jesus heard. With her, let us prostrate ourselves before the Lord; let us ask of him forgiveness for our sins; and let us implore him: "Lord, come to our aid!" When we do not know how to pray with perseverance, as the Canaanite woman did, forgive us, Lord. When we do not know how to pray with humility, as the Canaanite woman did, forgive us, Lord. When we do not know how to pray with faith, as the Canaanite woman did, forgive us, Lord. May Almighty God who sent his Son Jesus Christ to the lost sheep of the house of Israel have mercy also on us all. May he forgive our sins and bring us to eternal life. Or O woman, great is your faith! Lord Jesus, you are the Lord, Son of David, who came to save the lost sheep of Israel. Lord, have mercy. Lord Jesus, you graciously extended your mission to include everyone in God's kingdom. Christ, have mercy. Lord Jesus, you bring us healing and wholeness. Lord, have mercy. Like the Canaanite woman, let us not grow tired of imploring the Lord. For the Church. May she extend her welcome to all people of goodwill, and become a house of prayer for all nations. For the country which was the home of Jesus; for the territory of Tyre and Sidon. May the peace of God come upon this land. For those in authority. May the Lord help them to maintain equity so that justice might reign. For the lost sheep of the house of Israel. May the Lord, whose call is irrevocable, show them the fullness of his mercy. For those who are tormented by the devil. May they obtain their deliverance thanks to the intercession of the Church. For the strangers who live among us. May they find welcome in our community and be happy with us. For parents who have children in difficulty. May their prayers be answered like the prayer of the Canaanite woman. For our community gathered together by your love. May our prayer be humble and persevering, like the prayer of the Canaanite woman, so that it may touch the heart of Jesus. Let us recommend also to the love of the Lord all the other intentions that we carry in the depths of our hearts. God our Father, we implore you, with the Canaanite woman: "Come to our aid!" Through Jesus Christ, our Lord. In all the readings of today, we encounter and are made aware of the great truth that salvation is for all irrespective of one's caste, creed, nationality or race. The salvation that God our loving father envisages for us his children, is for all, every nation and all ages. This is categorically reiterated by Paul in our first reading, when he tells that "God's gift and his call are irrevocable." Our lives are oriented and ordained toward the redemption in view of realizing and experiencing the "image and likeness" with which we are created. Our re­ceptiveness for God's grace releases us from the compulsion of self‑deception and we gra­ciously share in the divine life, something which we can never effect ourselves. In our first reading today, Prophet Isaiah brings home the message to us that all people will be drawn together in worship of God. 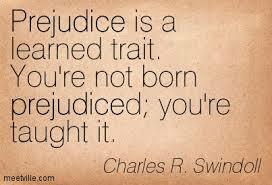 The prophet's call does not exclude anyone but includes everyone whether one is an Israelite or not. Everyone is invited to join the Lord and encounter him in his or her life. In today's Gospel, Mathew presents us a radi­cal, dynamic and persevering example of faith. The Canaanite woman, an outsider, though apparently rejected by Jesus by not heeding to her plea, continues persistently for her cause. She knew to whom she was talking to and what he was capable of realizing for her. The woman trusted in Jesus in the depth of her heart and surrendered herself to his mercy, while keeping up her faith. She let Jesus act and waits in surrender, trust and above all in a persevering faith. The Canaanite woman, unlike Peter, begins with faith. She acknowledges who Jesus is ‑ Lord, Son of David ‑ and pays him homage; only then does she pray for help and receives what she asks for her daughter. The surprise and Good news is that whether we begin in doubt and come to belief or begin with great faith, Jesus responds‑his mission that is to bring salvation to all. The persistent and uncompromising faith the Canaanite woman had in Jesus teaches a great lesson. In faith, there is always a room for mystery. As we do not know how the seed strikes root, shoots up and bears fruit, we need to patiently wait, letting God act in his time, on his own terms and conditions. Faith pre­supposes perfect trust and surrender and this is what the woman does in her life. The willing­ness to surrender to God holds the promise to connect us with our true selves and with the reality of God in our lives and in the world. The woman surrenders herself to the Lord that enables her to enter and immerse into the deep­est realm of life itself. This sense of self‑sur­render helps the woman to believe that Jesus is both willing and able to heal her daughter, no matter whether he regards her or not. By this incident, Jesus candidly brings home the pow­erful and challenging message that by the fact one is possessing the status of a "son" does not presuppose the availability of salvation. The "dogs" are also entitled to be counted among the sheep and are raised to the status of the "Son" and inherit the redemption that Jesus will obtain and make available to all. Here is a woman who refused to believe that her pleas were going to the dogs. She deeply believed in the Lord, but it was only through her perseverance that she obtained her request. The Lord is compassionate and merciful even when it seems that he is not. We must be able to endure being ignored, rejected and hurt, for these are the real tests of perseverance. In the face of adversities, we need to stand by that unshakable faith that God will provide in the mysterious ways of his own divine providence. The poet Longfellow wrote of this in Psalm of life: "Let us then be up a doing, With a heart for any fate, Still achieving, still pursu­ing, Learn to labour and to wait". Darshana Devi, in India's northern state of Jammu and Kashmir, recalls the ordeal of trying to find out why her name disappeared from the records of a government scheme providing monthly pensions to destitute widows. The 56-year-old, from isolated Dansal village, lost her husband 15 years ago, but her monthly pension of 1,500 rupees (US$23) kept the rice pot boiling. She was never told why she was removed from the beneficiary list in 2014. Repeated attempts to solve the riddle failed, she told ucanews.com. After suffering hardship, Devi came to know about a program run by Jammu-Srinagar Diocese's Catholic Social Service Society under which village women are trained to press for their rights and entitlements. The diocese covers the entire Jammu and Kashmir state. Devi was told about the Right to Information Act (RTI), a federal law, which helps any Indian access information from government departments and agencies. The law stipulates requests should be responded to within 30 days. Devi filed an application under the provision. However, she was shocked to learn that even the names of unmarried girls had been included as pension recipients by some corrupt officials. Following her complaints, officials cancelled the earlier list from which she had been omitted and prepared another one. "My name was there in the new list," Devi said with a smile. "Now I get the monthly pension on time." The Catholic Social Service Society programme also engages in capacity building for village groups and networking with locally elected bodies. Father Preful Tigga, assistant director of the society, said an aim was to focus on marginalized women. Hina Qadir, a research scholar in sociology at the University of Kashmir, said although women form 47 per cent of state's 13 million population, comparatively less had financial independence. She noted that of the state's 3.75 million workforce, just over a million were women. However, Qadir told ucanews.com that many village women remained unaware of available support options. Renuka Kumari, a member of the church-run program, felt proud to solve a "crisis" in her village. Last month, local women complained they were being cheated by a dealer at a government-run 'fair price' shop. As a result of representations, the women were given a full quota of wheat. In another village, action was taken to rectify shortcomings in a program designed to make sure pregnant women, adolescents and children were not malnourished. News of their success spread to nearby villagers who also succeeded in having grievances addressed. The society's director, Father Saiju Chacko, said empowerment of women led to social change. "When a woman is empowered, she is aware of her rights and she can assert herself to demand her rights," he said. "She is no more a victim, but becomes a voice for the voiceless." The priest expressed hope that the day would soon come when village women had collective leadership ensuring greater control of resources, with men as supportive and responsible partners.